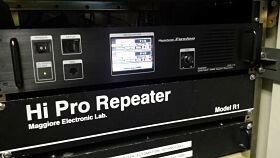 On November 15, 2015 at 12:00 pm, members of WTRA flipped the switch and placed the new WT4RA/R UHF repeater in service! HEATHKIT!! New radio kit is on the market! I'd like to welcome everyone to our new website. Thanks to Chris Peters (N4KIT) and Kerry Hanslits for bringing this all together. Chris Peters on HEATHKIT!! New radio kit is on the market!